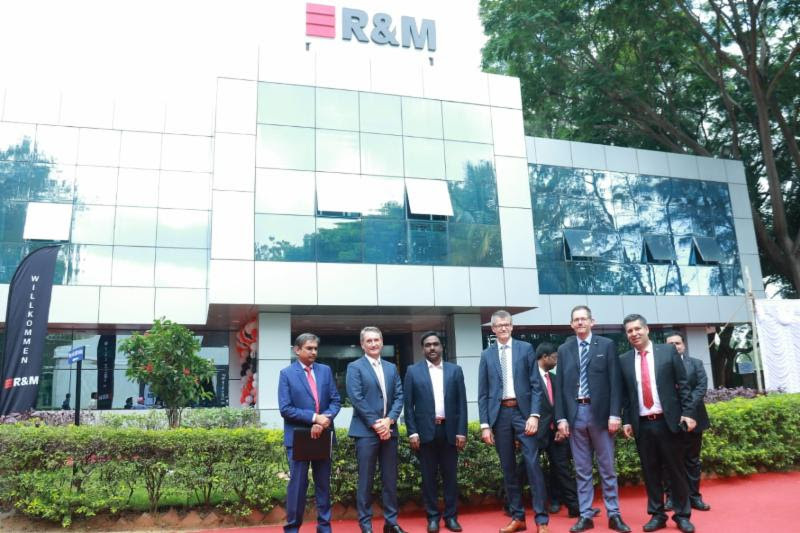 R&M, a Swiss cabling systems developer and provider of high-quality fiber & copper solutions for network infrastructures around the world, today inaugurated its state-of-the-art production hub in a sprawling facility in Bengaluru. This manufacturing facility is built under the 'Make In India' initiative. This Bangalore based facility is dedicated to production and warehousing, and will soon act as a primary supplier of Fiber Optic solutions for data centers and 'Fiber to the X' (FTTx) customers globally. Gaurav Ahluwalia, Managing Director of R&M India says, "Opening production facility in India means that 2018 will be characterized by huge expansion in production capacities, where over 400 highly qualified employees will be producing Fiber Optic solutions in accordance with high R&M quality standards. With the Bangalore site up and running, R&M India is looking forward to stepping up production in the coming days. At R&M India, this is a new chapter of growth and expansion." Gracing the occasion with his presence, Michel Riva, CEO & Member - Board of Directors, R&M AG Switzerland said, "Today's announcement reaffirms R&M's long-term commitment to India, a strategic center of digitization, innovation and technology. We are honored to collaborate with people of India to accelerate each other's economic growth and create a fruitful relationship. This initiative is a step towards the government's vision "Make in India" to create sustainable competitiveness and prosperity." "Since we have established our operations in India, we have made significant investments and are committed to being the strategic partner to India. Opening the production facility is another milestone in deepening our commitment to India," he adds. Laurent Amestoy, Executive Vice President SR APAC of MO-Singapore said, "Today we lay the foundation for the next chapter in R&M's development in India. The facility will bring advanced manufacturing capabilities in delivering a diverse product portfolio to our customers in India and across the Asian region. Further, it will help us to strengthen our position in structured cabling market." The inauguration started with prayer rituals in Indian customs and traditions. The ceremony of the production facility took place in the presence of the Chief Executive Officer, Sterlite Technologies Limited, KS Rao; The CEO & Consul General (Swissnex India, Consulate General of Switzerland, Bangalore, his honorary Sebastien Hug. Besides, Michel Riva, CEO, Markus Stieger, COO and Laurent Amestoy, Executive Vice President SR APAC, were also part of the ceremony. In the coming months, Swiss major R&M will focus on gradually expanding and becoming a cornerstone of the worldwide R&M production network. The intention is to increase the number of high-quality FO assemblies produced in India at optimal cost-efficiency levels to satisfy worldwide demand, and manufacture assemblies for other production plants, thereby contributing to "Make in India". 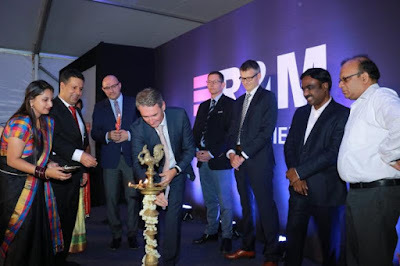 The ceremony was witnessed by over 200 business partners and customers who have contributed and played crucial role in R&M's successful journey in South Asia.